States west of the Mississippi river. 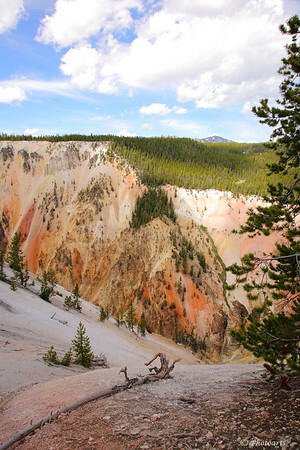 Known as the grand canyon of the Yellowstone, hills in this area are painted by unique mineral deposits in most colorful display. Viewed from Artist Point, Yellowstone National Park. Great leading lines. The color is very nice also.